A denture is a removable dental appliance created to replace the spaces caused by missing teeth and surrounding tissue. 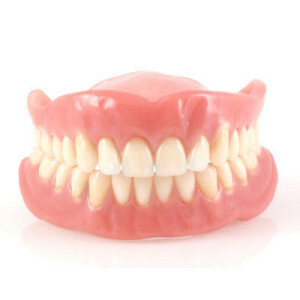 There are two types of dentures – complete and partial. Complete dentures are for patients who are missing all of their teeth, while partial dentures fill the spaces caused by missing teeth. When missing any teeth, partial dentures play an important role in preventing other teeth from shifting position in the mouth. In our office, we can help you with both complete and partial dentures. The dentures received are strong and durable. On occasion, dentures may need to be adjusted, repaired or relined. Over time,the denture may need to be remade.